I rely heavily on the willingness of the local wildlife to entertain me and provide fodder for my posts. 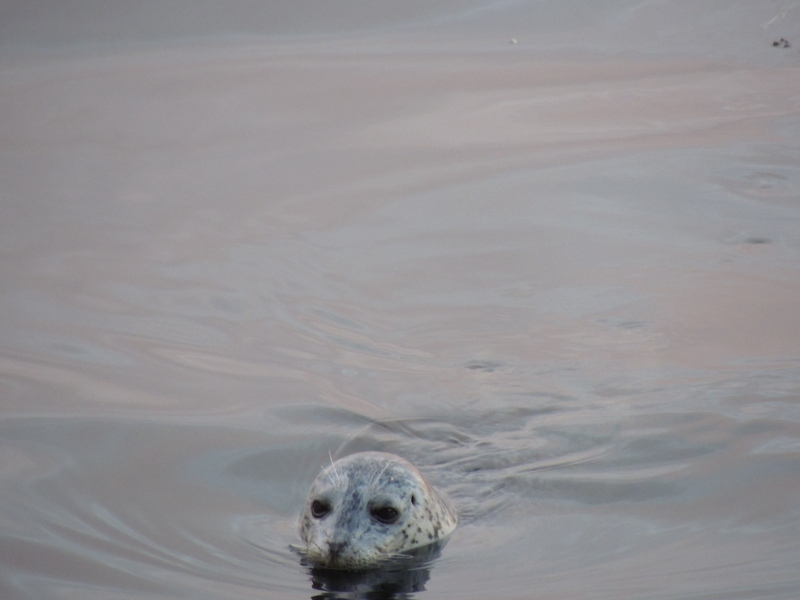 When we first moved here I was enchanted with our resident seal. He is in front of our window for most meals and his presence has become so routine for us now he barely gets a mention. But he is always here. The three squirrels are always here. The eagles swing by around three and I know you are tired of me talking about the sea lions. We can set our watches by the otter, they come at sunset. The Sea lions head south under our window at breakfast and north past the perch at dinner. Now we have Pacific White Sided Dolphins.. They have been swimming in front of our house now five times this winter and four times this week. The last two mornings they came exactly at ten am.. Heading north through the narrows, they appear to be on a relaxed schedule. No hurry, but they have places to go. E finished chopping and stacking the majority of the wood this afternoon. Not much left to chop. He thinks we have enough for next winter and wants to get 2016 going… I was in my happy place weeding in the garden. Two ruby red throated hummingbirds fought over the feeder above me. It seems like an endless chore this weeding but I must be making progress.. I want it all tidy by Easter.. I had to quit early and come down to the house because the eagles showed up and Small Frey was convinced that Sammi was his dinner.. he actually flew down low over the fence and darkened the garden with his shadow.. I jumped up and surrendered the garden to him for the rest of the day. Sammi and I went down to the safety of the house and called it a day.. I can see where you wouldn’t want to know what we all are wearing, but whatever attire we are in (or not) we look forward to your blog every time! You are too kind.. I would expect while in Hawaii you probably always have a flower in your hair at the very least.